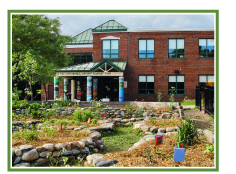 Thanks sincerely for considering a donation to the Sustainability Academy PTO. Your tax-deductible donation will be contributed directly to activities which foster inclusion, education in sustainability, and appreciation of nature. Amazon Smile – Same prices, selection, and convenient shopping as Amazon, but 0.5% of your purchase price can be donated to the SA PTO. Your account settings are the same as Amazon, as well as your shopping cart, wish lists and registries. Register at smile.amazon.com and add the Sustainability Academy PTO as your organization of choice. 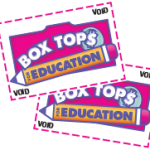 Collect Box Tops from a variety of grocery items. Bring them to the collection container in the lobby. Hannaford Helps Schools – Get 3 school dollars for every 4 participating Hannaford products you purchase. You will get a receipt at the checkout indicating how much money will go to the school of your choice. Put that receipt in the S.A. envelope by the door when you leave. There is no signup necessary. This program starts in September and runs until late fall. Checks will be delivered directly to the school. In 2016-2017, the program raised over $320 for the SA. Outdoor Gear Exchange – Have some outdoor gear/clothing in the closet that nobody is using? You can take it to the Outdoor Gear Exchange and consign it under the “Sustainability Academy PTO” account. The PTO will receive 75% of the selling price in store credit or 65% in cash. Price Chopper Tools for Schools – If you have a Price Chopper Advantedge Card and register it on the Tools For Schools website, each of your purchases at Price Chopper will automatically accumulate points towards Tools for Schools. You will need the 10 digit code on the back of your card and the school code – #15171. As points accumulate SA can redeem the points for free supplies and equipment! This program runs from the end of July to March, but you can sign up anytime!